This handheld vibration test meter is easy to use, compact design with acceleration, velocity and displacement measurement and selectable vibration frequency, to help you check the vibration of motors, machineries, bearings etc. Low cost and high accuracy. The vibration meter is suitable for routine testing the vibration of machinery and equipment, especially the vibration of rotating and reciprocating machinery. It can measure acceleration, velocity and displacement, which is widely used in mechanical manufacturing, electric metallurgy, general aviation etc. Tips: What is handheld vibration test meter? Handheld vibration meters (including two types with external shear-type piezoelectric accelerometer or built-in accelerometer), have four kinds of vibration measurement parameters of acceleration, velocity, displacement, and high-frequency acceleration for your choice, with multi-functions like measurement data hold, automatic shutdown and so on. Handheld vibration meters not only can test the acceleration, velocity and displacement of vibration, but also check faults of rotating machinery and reciprocating machinery. What’s more, it can diagnose faults of bearings and gears of rotating machinery by measuring the high-frequency acceleration of vibration. 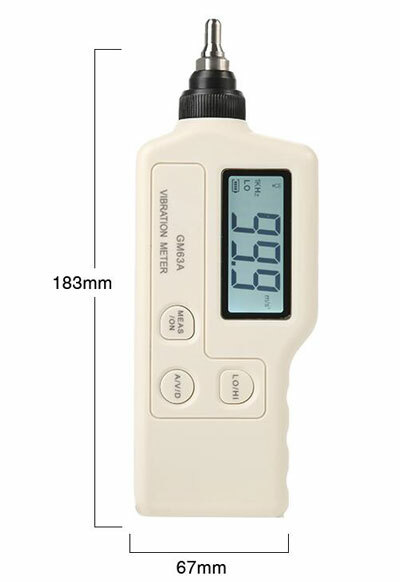 The handheld vibrometer is used to test the intensity of rotating machinery, so the instrument is widely used in machinery manufacturing, power, chemical and other fields. In this video, ATO will give you a brief introduction of vibration meter and then measure a motor’s vibration with the vibration meter. 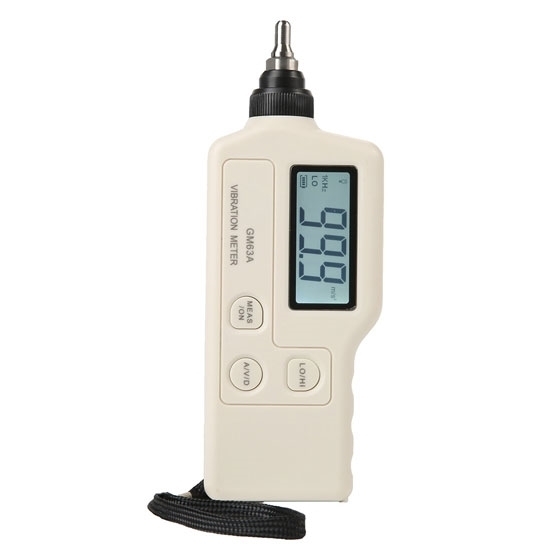 It is very easy to use this vibration meter.